You may not have heard of Sapporo, but it is the fifth largest city in Japan, in the northern island of Hokkaido. In the winter, it is famous for its Snow Festival, where thousands of people come to the city to view the elaborate snow sculptures. In the summer, it is the perfect place to escape the humidity of Tokyo. Nestled in between the mountains and the sea, Sapporo makes for ideal summer sightseeing conditions. 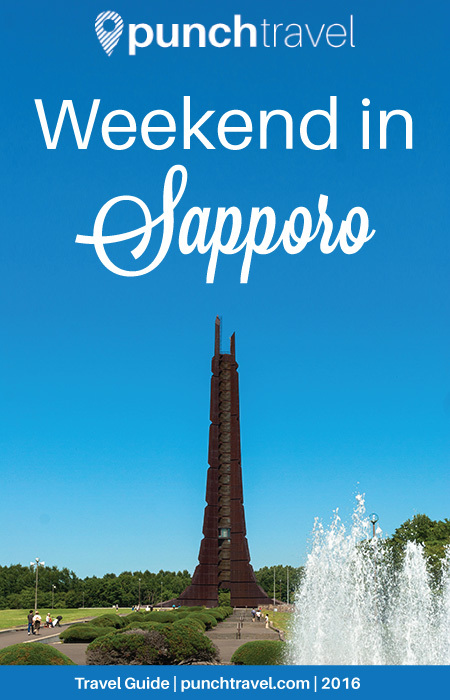 Read on for the perfect summer weekend in Sapporo, Japan. In the summer you’ll find Odori Park filled with sun-seekers. Families, couples, friends, and office workers alike flock to the park which stretches across downtown Sapporo. 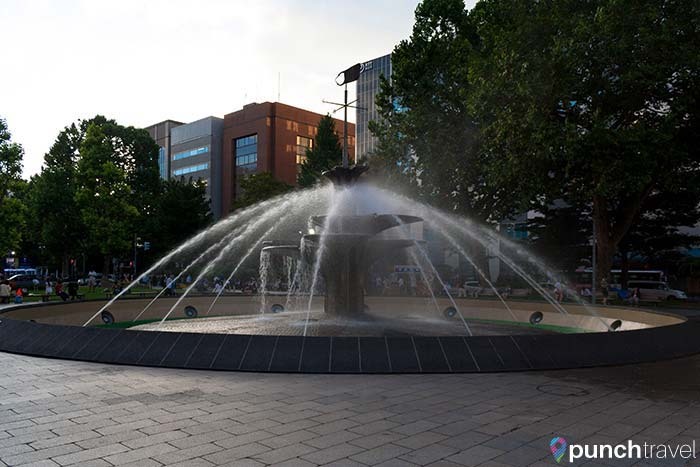 More street than park, Odori Park spans 1.5 kilometers from east to west, separating the northern and southern parts of Sapporo. The park is filled with trees, flowers, fountains and grassy lawns – a perfect oasis for its citizens. Odori Park is also the setting for many of Sapporo’s most popular festivals, like the Snow Festival in the winter. Summer is the best time to visit, when the park transforms into a giant beer garden. 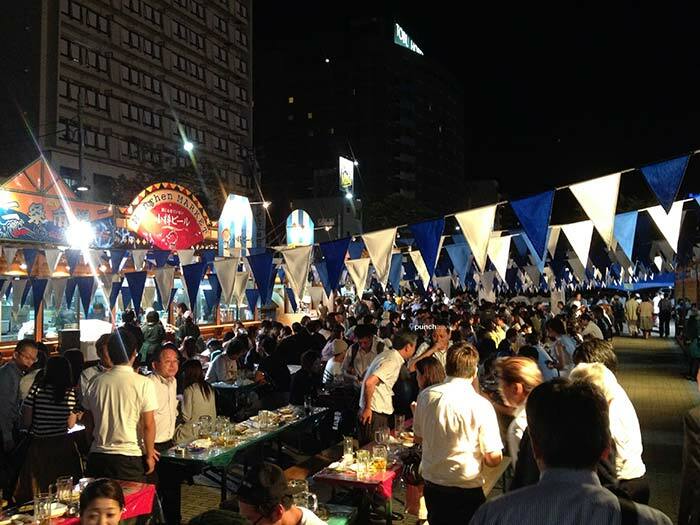 Each block of the park is dedicated to a brewery and people of all ages gather to drink beer and snack on takoyaki and edamame. 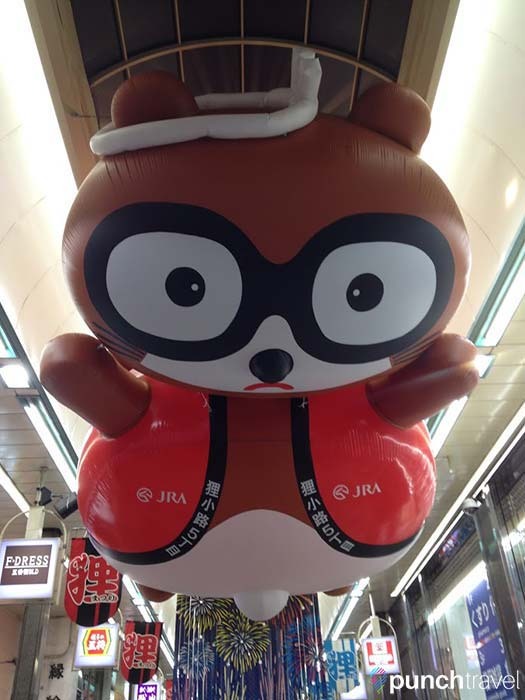 Five blocks south of Odori Park is the Tanukikoji Shopping Arcade, a 1 kilometer long covered walkway with shops, restaurants, arcades and pachinko gambling parlors. 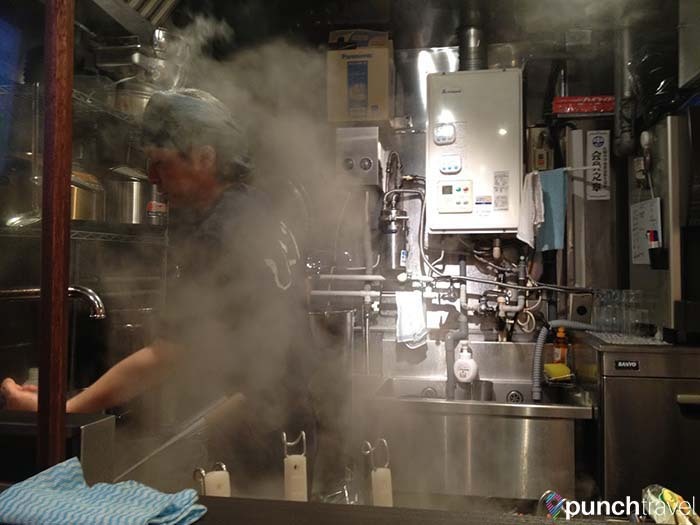 For delicious make-your-own okonomiyaki, go to Fugetsu. Choose from one of the classic combinations or pick your own ingredients to make the perfect grilled pancake. Hokkaido is famous for its dairy, so you must try their soft-serve ice cream. 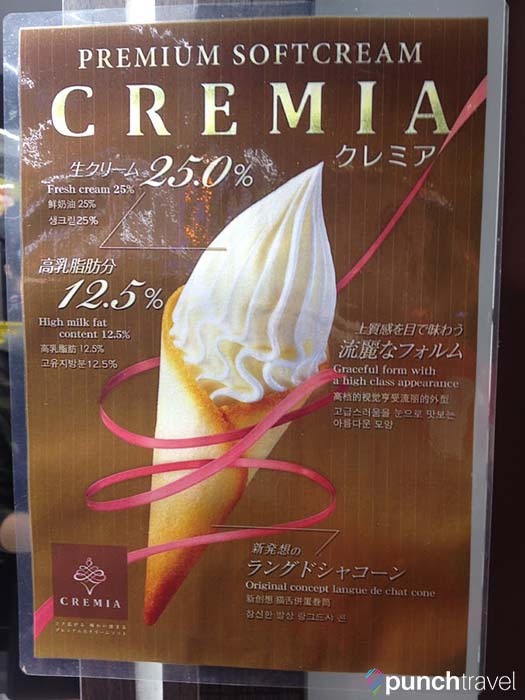 The most decadent version is at Cremia within the Tanukikoji Shopping Arcade. For ¥ 500 you’ll get the richest ice cream you’ve ever tasted, composed of 25% fresh cream, 12.5% milk fat content, wrapped up in a langue du chat cone. Believe me, it is worth it! The city was designed around four sections, separated by Odori Park marking north to south and the ōsei-Gawa (Creation River) dividing the city from east to west. Most of the major attractions in Sapporo city are within walking distance of each other. Ride the clean and efficient subway system to the Sapporo Station stop in the government district. 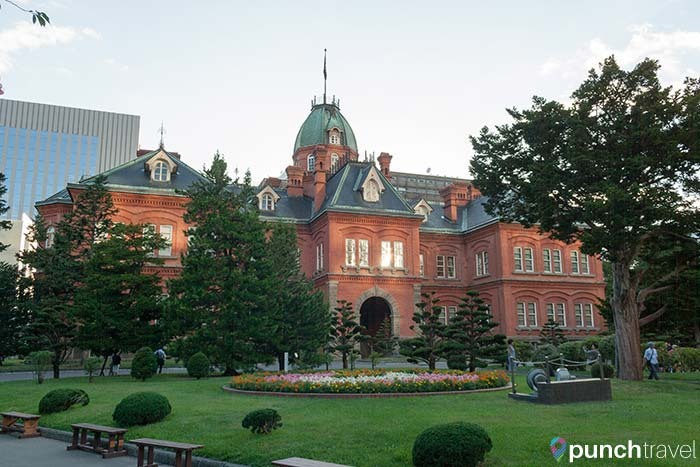 Here is where Sapporo’s government buildings are located. A few blocks south of the station is the Former Hokkaidō Government Office housed in a notable red-brick building built in the 1800s. Today the building contains a museum on the history of Hokkaido. Further south is the Sapporo Clock Tower. It is the oldest building in Sapporo and has become a symbol of the city. It is one of the few standing Western-style buildings in Sapporo, from when the city was developed in the 1870s with the assistance of the American government. 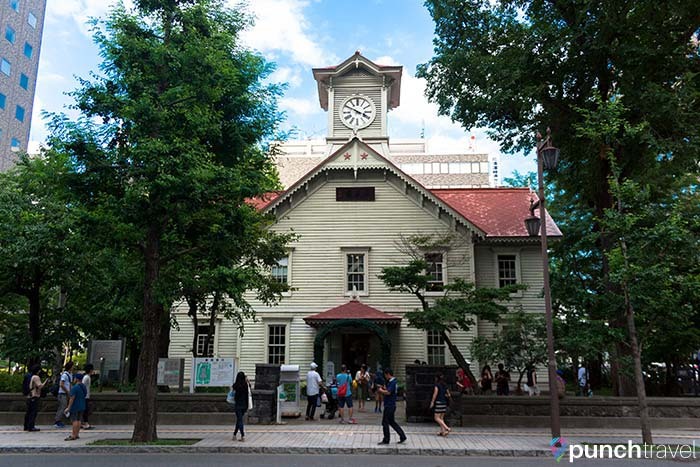 Inside, the clock tower contains a museum on the history of the Agricultural College and the development of Sapporo. Sapporo sees an annual average snowfall of 5.96 m (19 ft 7 in), and it’s no surprise that in winter, people head underground. Sapporo has an extensive underground network of streets below the city center called Aurora Town and Pole Town. Dozens of stores, restaurants and markets can be found here, with entrances leading into the buildings above, all without ever needing to step foot outside. 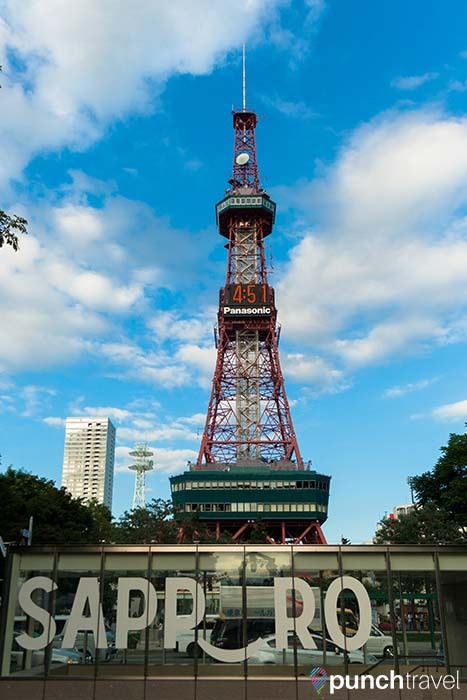 On the east side of Odori Park is another Sapporo monument, the Sapporo TV Tower. Like its more famous brother in Tokyo, this TV tower functions as a transmission tower as well as a tourist attraction. 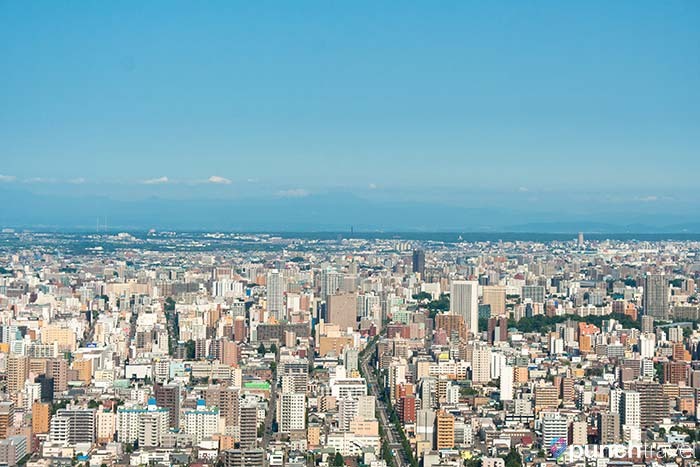 The observation deck 90 meters up offers nice views of Odori Park and nearby Mount Ōkura and Mount Maruyama. 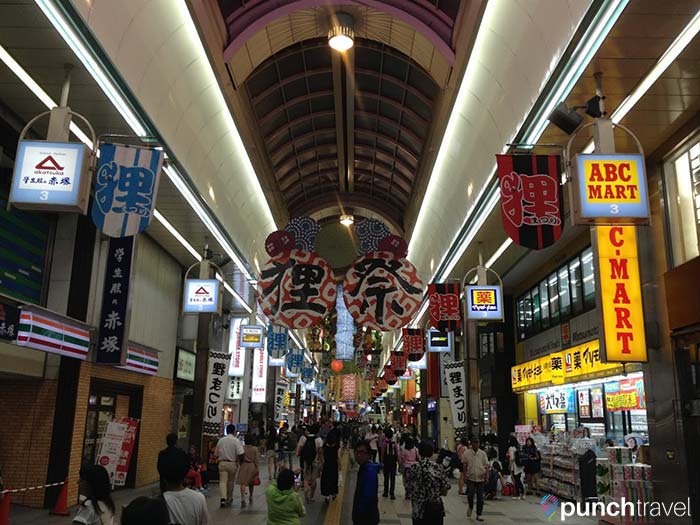 Just a few blocks from the TV tower is Nijo Market, a popular fresh seafood market. Hokkaido is known for its abundance of fresh seafood. Here you can try the famous hairy crab or sea urchin. 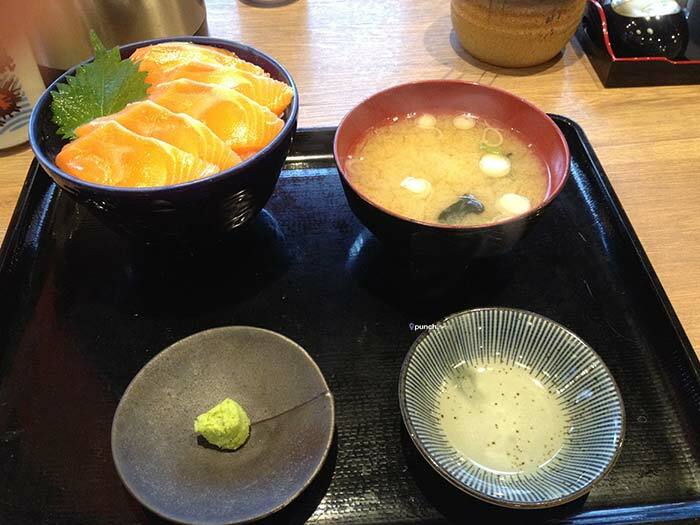 At Ohiso, you can get a fresh salmon donburi or miso-glazed sablefish lunch set for less than ¥1100. You may have heard of Sapporo beer, a popular Japanese beer brand born here. 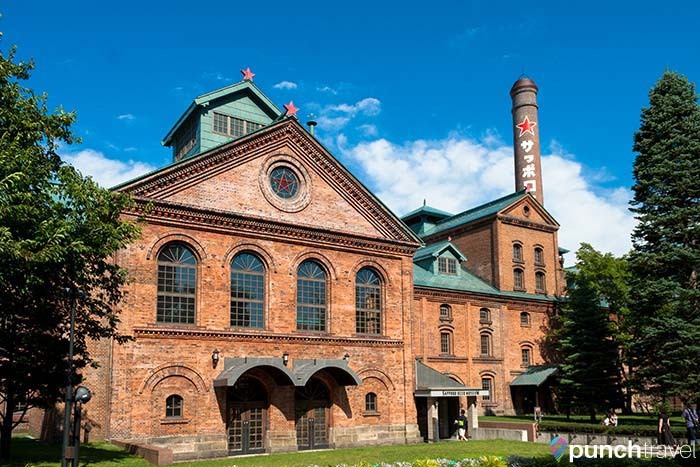 Visit the Sapporo Beer Museum to learn about the brewery and the history of beer in Hokkaido. Entrance to the museum is free and afterwards, sample a few of their beers in the tasting hall. Read more about our visit to Sapporo Beer Museum. Susukino is the Times Square of Sapporo. Neon signs and backlit signs illuminate the sky, advertising beer, hairy crab and other eats. 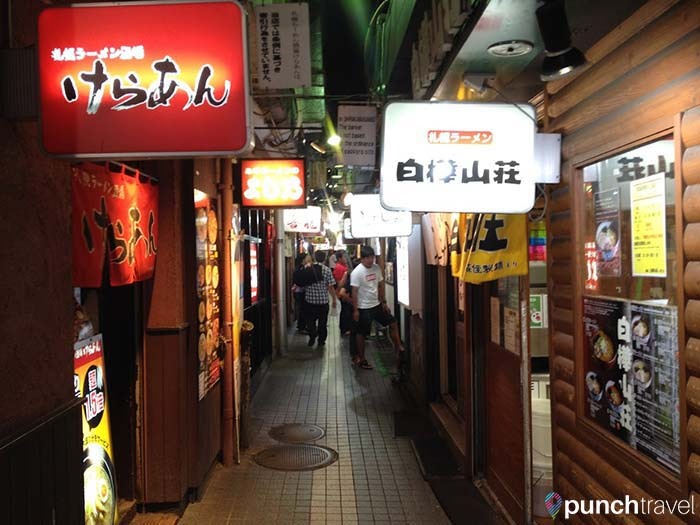 Two blocks south of the Susukino metro station, is Ramen Alley, a narrow pathway with small ramen restaurants lined up side-by-side. 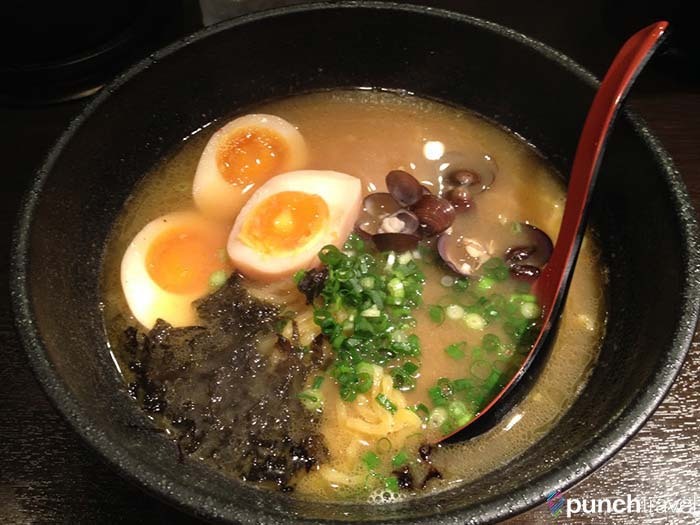 Sapporo is considered the birthplace of miso ramen, the classic version with a miso base, broth and vegetables topped with minced pork, ginger and garlic. Another version popular to Sapporo is to top the miso ramen with corn and butter. Aji no Karyu, at the end of the street, was featured on TV chef Anthony Bourdain’s show, No Reservations. For pescatarians, try the clam broth ramen on the north side of Ramen Alley. If the weather is nice, head to Maruyama Park west of downtown Sapporo. 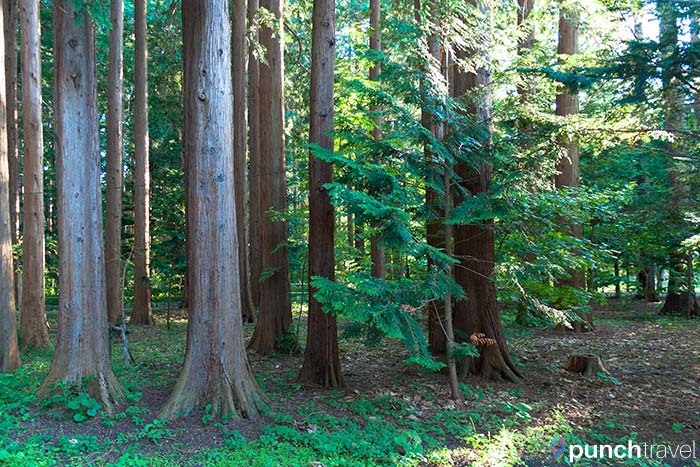 Get off at Maruyama-Koen station and walk through the lush park. Here you’ll find locals exercising, playing soccer and picnicking in the park. 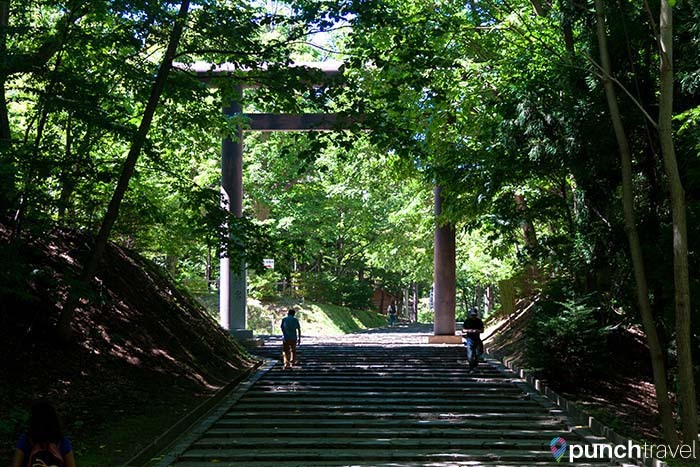 Make your way to Hokkaido Shrine in the center of the park. 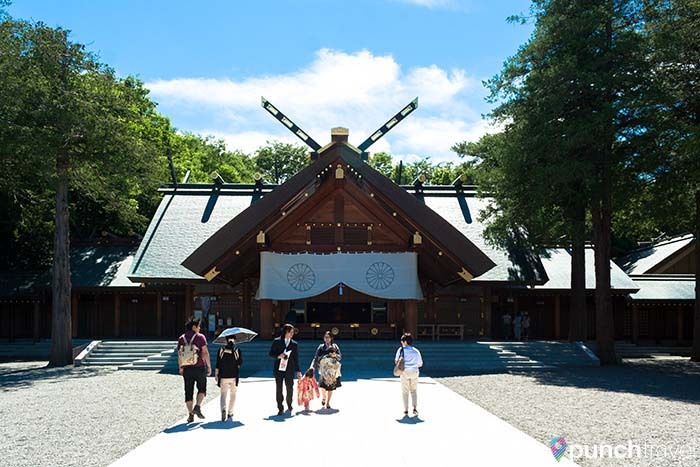 The shrine was established in 1869 during the Meiji era, and is the enshrined home of several deities. If you’re feeling active, hike up to the top of Mount Maruyama for an expansive view of the city of Sapporo below. The trail leads up to a height of 225m through mostly untouched forest. The hike takes about 40-minutes one-way. 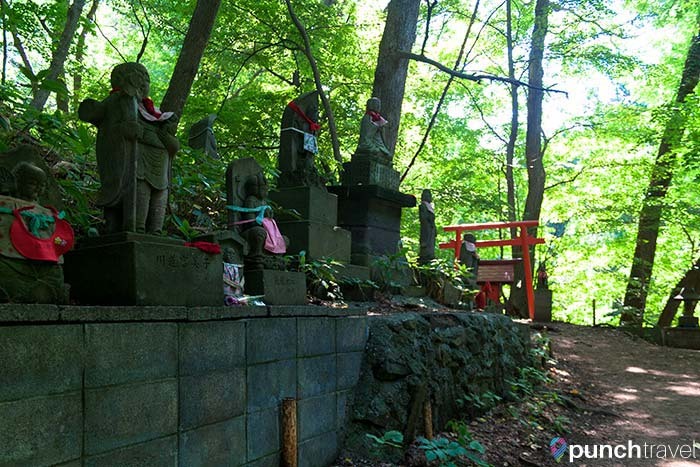 Along the way, you’ll pass by lines of statues of Jizo, the guardian of children, and Kannon, the goddess of mercy, dressed by local residents. The statues wear children’s’ clothing or bibs, put there by grieving parents for Jizo to protect the souls of the children they have lost. From Maruyama Park, make your way to Ski Jump Hill at Mount Okurayama. 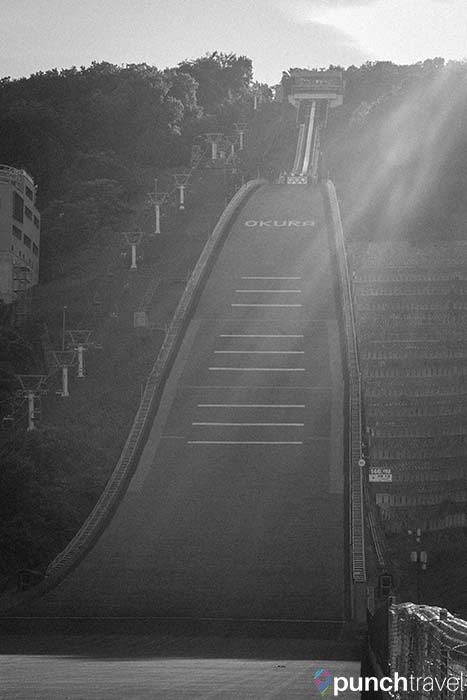 This ski jump was the base of the 1972 Winter Olympics – the first winter Olympics to be held in Asia. The massive ski jump is impressive to see up close. You can imagine how spectacular it was to view the ski jumpers soaring off the edge of the jump. A chairlift takes you to the Okurayama Viewing Point at the top of the ski-jump. The 307 meter-high mountain top provides awe-inspiring views of Sapporo city. At the base of the ski jump is the Winter Sports Museum. This museum is dedicated to the winter sports that Hokkaido is known for and the region’s role in the 1972 Winter Olympics and the Asian Winter Games. The best part of the museum is that it is interactive. Each sport display features a simulator where you can try your hand at the sports. Our favorites were the cross country ski race and the ski jump simulator. There was also curling, ice hockey, figure skating and bobsledding. Tickets are ¥600 for the Winter Sports Museum. We were only in Japan for two weeks so only did Tokyo, Kyoto and then a day trip to Nikko and Yokohama. Sapporo sounds great! Will have to add it to the list when we return. Definitely going to try that ice-cream!